To keep your vehicle in top shape, you need to keep up with the maintenance required for its longevity. Most vehicles can be enjoyed for a long service life if their maintenance requirements are met. Preventative maintenance is key to your vehicle’s reliability and resale value. Different vehicles and manufacturers will have varied maintenance schedules for their vehicles. iSeeCars created the following Preventative Maintenance Timeline as a guideline for your car, but be sure to consult your vehicle’s owner’s manual and use the information in it as your ultimate maintenance requirements guide. Note that these intervals are cumulative, so each builds on the previous one rather than being stand-alone. In addition to making sure the maintenance is done, you should keep a log of maintenance performed. The log should include the vehicle’s mileage, date of the maintenance and any important details about the work done. 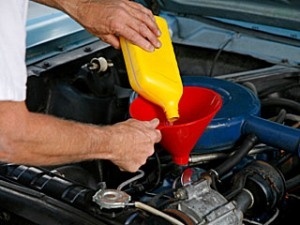 At the 3,500 to 6,000 mile point on your vehicle, it will require an oil change. Exact intervals vary, but 5,000 is about the average for most gasoline engines and their first oil change. Oil lubricates the engine and its moving parts to keep metal-on-metal grinding from occurring. As oil is used, it becomes less able to do this. At the second oil change interval, it’s recommended that the tires be checked for proper pressure. If the tires are original to the car, then tire pressures will be found inside the driver’s door on a sticker affixed to the frame. Pressure recommendations for the tires can also be found on the tire’s sidewall. Proper tire inflation maximizes tire life, aids fuel efficiency, and improves ride and handling. Tire rotation should also take place at this interval, helping keep wear on the tires even. At this interval, checking windshield wipers for possible replacement is also recommended. At this interval, which is also the third oil change point, the air filter, belts and hoses should all be checked and/or replaced. Air filter replacement keeps the engine running optimally by maximizing clean air flow to the combustion chamber, which is important to engine operation and fuel economy. Bad belts or hoses can break or burst, causing a breakdown and (potentially) even more problems for your car. It’s best to catch fraying, cracking, and other issues early and fix them before they become an issue. In addition to keeping up with oil changes and other intervals above, the 30,000 mile point is usually where a manufacturer recommends fuel filter changes. This helps extend the life of the fuel pump and to improve combustion and fuel economy. This is the point at which most vehicles require brake pad replacements, transmission flushes and new tires. Because your brakes are the most important safety item on your vehicle, they should be prioritized. Likewise, the tires determine how well your vehicle handles in varied weather and traffic conditions, so they should also be prioritized. Like the oil, transmission fluid gets dirty and less able to do its job over time. A transmission fluid flush is also a point where a mechanic can check the fluid for signs of other problems in your transmission that can more easily be fixed now than when they manifest later as serious breakdowns. Somewhere in the 75,000 to 100,000 mile range is the most important of the car’s maintenance intervals for long life expectancy. Spark plugs, a timing belt and many things that coincide are all needed. Spark plugs determine your engine’s fuel efficiency and are integral to timing for maximum power output. The timing belt determines the engine’s ability to deliver fuel, air and spark at the right moments to maximize power and fuel efficiency. In many cases, a timing belt that breaks will not only disable the vehicle, but could cause very expensive damage to the car when doing so. During timing belt replacements, it’s also often recommended that serpentine/accessory belts, the water pump and more be replaced as well. Doing these things now can save labor costs later if they are required outside of the timing belt change interval. You can download a PDF of the Preventative Maintenance Timeline here.